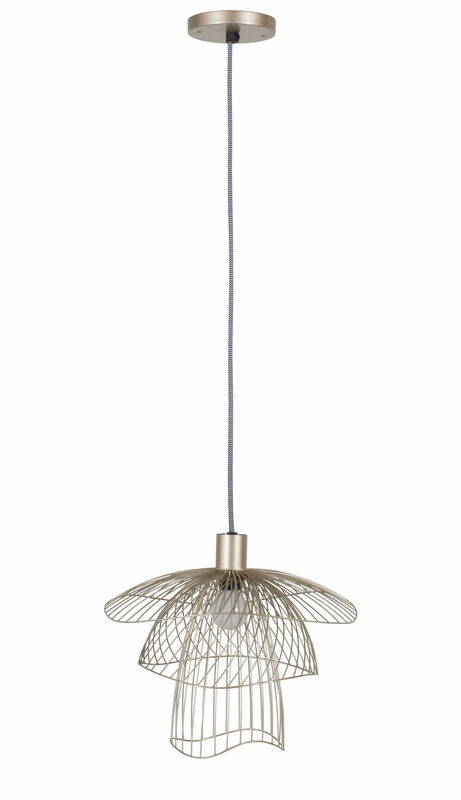 Dimensions : Lampshade: H 25 x Ø 35 cm - Ceiling rose: Ø 10.5 cm - Cable: L 190 cm max. 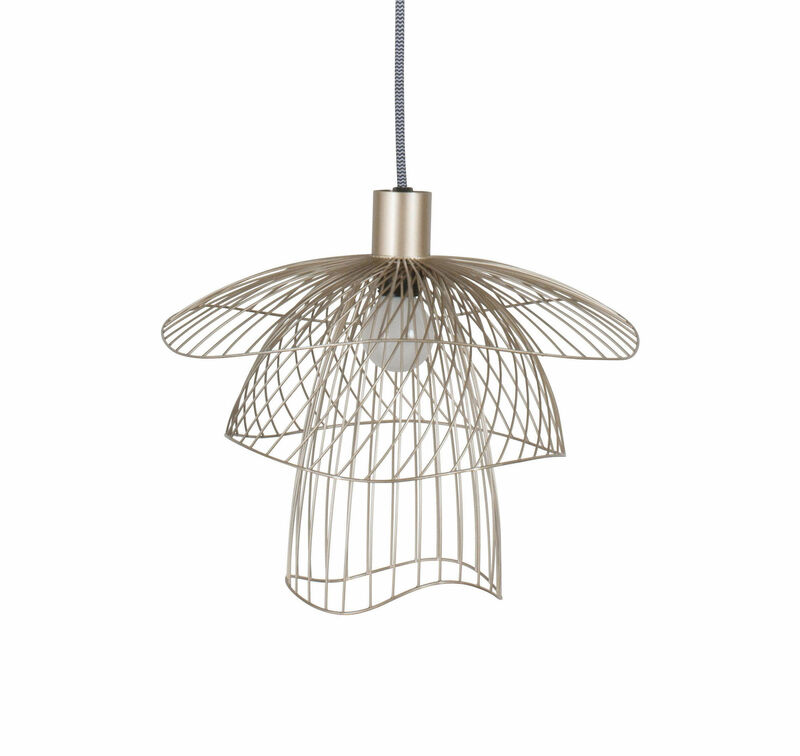 Created by the French designer Elise Fouin, this superb pendant boasts a poetic design and delicate silhouette. 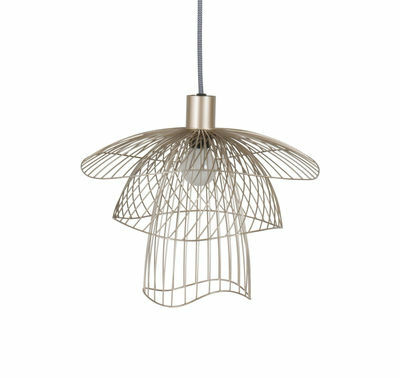 The light filters through the multitude of metal wires, producing a beautiful show of light that plays with light and shadow. The structure is made up of three domes of various sizes positioned one over the other. The sylphlike volumes intertwine, creating attractive geometric 50s-style shapes.